Quick Freshes are our regular Sunday notes on the homeschool week ahead. Pick one or two (or more) of the items below each week and use them to enrich your homeschooling schedule! Visit our River Houses calendar page (riverhouses.org/calendars) and print your own homeschool calendars for the entire year. This is a special week that we mark each year in the River Houses: the week of the Nineteenth of April, the day the American Revolution began in 1775. 🌔 THE MOON at the beginning of this week is gibbous and waxing, heading toward full on the 19th. You can dial up this week’s constellations and explore the moon’s features with your homeschool star atlas and world atlas (riverhouses.org/books). Monday (15 April) — On this day in 1912, the passenger liner R.M.S. Titanic sank in the North Atlantic, two hours after striking an iceberg. More than 1500 passengers and crew died in the accident. 🚢 Today is also the birthday of the great Renaissance painter and polymath Leonardo da Vinci (1452–1519). 🎨 Our homeschool poem-of-the-week for the third week of April is Ralph Waldo Emerson’s “Concord Hymn,” for the beginning of the American Revolution. Print your own River Houses Poetry Calendar (riverhouses.org/calendars) and follow along with us throughout the year. Thursday (18 April) — On the evening of this day in 1775, Paul Revere and a network of alarm riders fanned out from Boston to warn the surrounding countryside that British troops were marching overnight to seize the colonists’ stores of arms and ammunition in the nearby town of Concord. Join us today for a special reading of Henry Wadsworth Longfellow’s famous American poem “Paul Revere’s Ride.” 🏇 And on this day in 1906, a major earthquake and fire destroyed much of San Francisco, California. Saturday (20 April) — Over the course of this day in 1775, 15,000 men from towns across Massachusetts and adjacent parts of New Hampshire and Rhode Island surrounded Boston and bottled-up the city’s British garrison, beginning an eleven-month siege that ended when British troops evacuated the city on 17 March 1776. 🎆 Today is also the birthday, coincidentally, of American sculptor Daniel Chester French (1850–1931), whose first important commission was the Minuteman statue that stands today at Concord’s North Bridge. Sunday (21 April) — After a week of war commemorations, spend a few peaceful homeschool minutes with the great “Alleluia” of American composer Randall Thompson, born on this day in 1899. 🎵 Tradition says that on this day in 753 B.C., the legendary king Romulus founded the city of Rome. 👑 And on this day in 1836, Texas forces under Sam Houston defeated the Mexican army commanded by General Antonio López de Santa Anna in the Battle of San Jacinto. ❡ Toasts can be a fun educational tradition for your family table. We offer one each week — you can take it up, or make up one of your own (“To North American dinosaurs!”), or invite a different person to come up with one for each meal (“To variety in toasting!”). Our current set of toasts are mostly taken from an old anthology called Pocock’s Everlasting Songster (Gravesend, 1804). What will you toast this week? 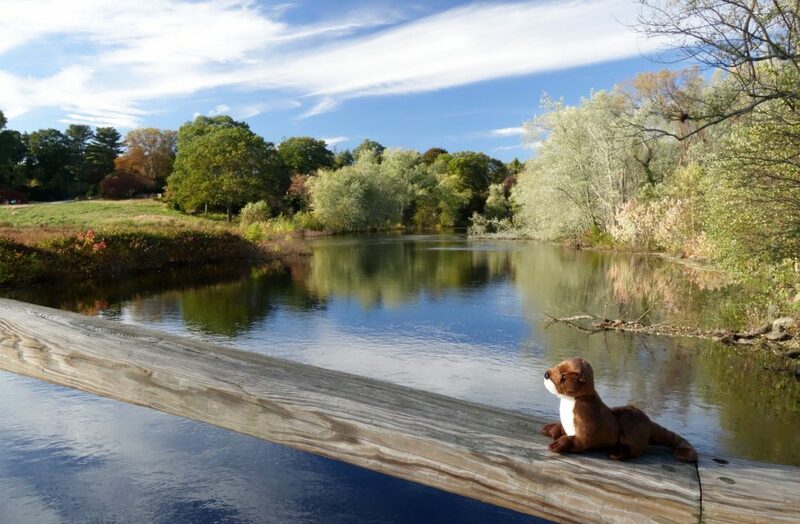 🌎 EVERYTHING FLOWS: Ordinarily we post a Weekly World River from one of our countries-of-the-week, but we make one exception each year: in honor of the Nineteenth of April, this week’s World River is always the quiet Concord River, just west of Boston, which has figured prominently in the American imagination for more than 200 years. You can read more about it in the comprehensive Concord River entry in Wikipedia or on your next visit to your local library. ❡ Let the river run: Why not do a homeschool study of world rivers over the course of the year? Take the one we select each week, or start with the river lists in your almanac (pages 691–693), and make it a project to look them all up in your atlas, or in a handy encyclopedia either online or on a weekly visit to your local library. A whole world of geographical learning awaits you!